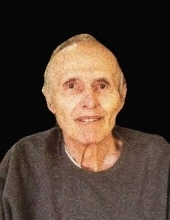 Mr. Terry Schneeweis of Port Washington, formerly of Milwaukee, passed away peacefully Saturday, February 2, 2019. He was 80 years old. Terry was born in Milwaukee on March 1, 1938, oldest son of Gilbert and Helen (Mathiak) Schneeweis. He attended local schools and graduated from Rufus King High School in 1956. Terry enlisted in the United States Navy, with a dream of working on submarines. He was stationed stateside and was honorably discharged in 1958. While attending a dance at the Eagles Ballroom in Milwaukee, he met his bride-to-be; Terry was united in marriage with Cynthia Zeis on May 26, 1962 in Milwaukee. The couple built a home in Port Washington in 1965 and started their family. She preceded him in death in 2017. Mr. Schneeweis worked on the paint line at Reliance Electric. He retired as a supervisor after 35 years of faithful service. Terry was a member of St. Matthew Evangelical Lutheran Church in Port Washington; He frequently participated in helping with communion, tending the altar, and food ministry. Mr. Schneeweis liked home-life. He enjoyed watching news, history and war movies on TV, making home-made wine, and the crisp air of winter. He lived for his family and four-legged friends. Survivors include his two daughters Lori (Blair) Butz of Hendersonville, TN and Marcy (Rick) Culmer of Orlando, FL. He is further survived by four grandchildren: Jenna & Aaron Butz and Celia & Daisy Culmer, brothers James (Nyla) Schneeweis of Minnesota and Thomas Schneeweis of North Carolina, other family and friends. He is preceded in death by his wife Cynthia, and his parents Gilbert & Helen. The Eernisse Funeral Home is assisting the family with arrangements: online condolences may be left at www.eernissefuneralhome.com . To send flowers or a remembrance gift to the family of Terry R. Schneeweis, please visit our Tribute Store. "Email Address" would like to share the life celebration of Terry R. Schneeweis. Click on the "link" to go to share a favorite memory or leave a condolence message for the family.